Breast cancer surgery is an important part of treating breast cancer, and it is typical that the treatments starts with it. At Docrates Cancer Center, patients have quick access to breast cancer surgery. All the necessary additional examinations, such as a breast MRI, are performed at Docrates before the operation. 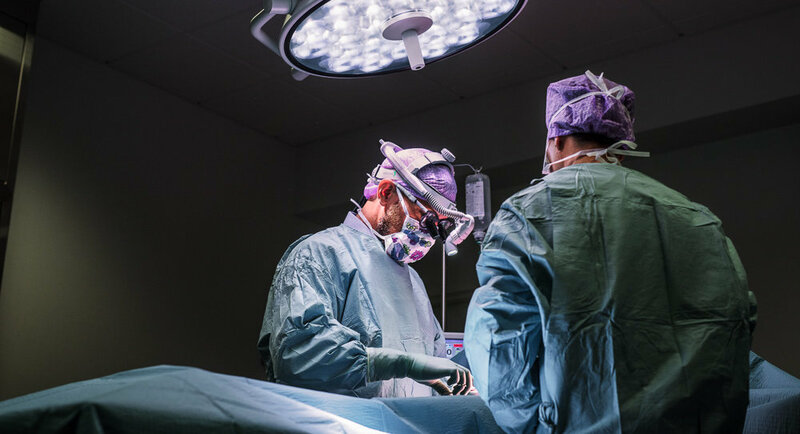 Each surgery is individually planned at Docrates, taking into consideration factors such as the characteristics of the tumor, the patient’s wishes and their situation in life. 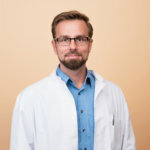 There are various options in breast cancer surgeries, and our skilled surgeon Jari Viinikainen includes the patient in the decision on the best surgery method. 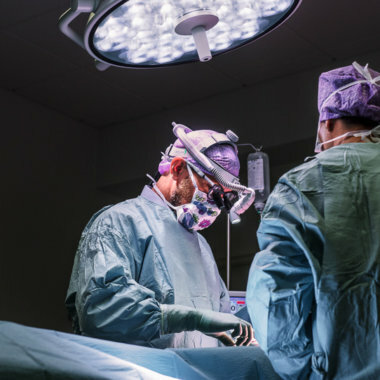 When deciding on the surgery, it is essential to ensure that all the cancer tissue can be removed at once, thus eliminating the need for additional surgeries. Some breast cancers can be treated with breast-conserving surgery, while others require the removal of the entire breast, in other words a mastectomy. We plan each breast cancer surgery individually, taking into account the size of the tumor and breast, the patient’s wishes, their situation in life and any illnesses that may affect the treatment. We also discuss the risks and benefits of each option with the patient. If the breast needs to be removed, it may be possible to reconstruct the breast during the cancer surgery. This may help avoid separate reconstructive surgery and possibly enable all the necessary surgery procedures to be completed at once. 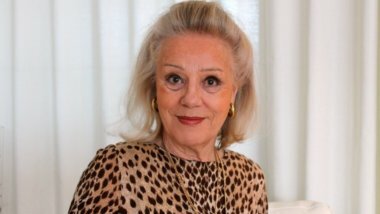 However, in certain cases, it is safer to focus on removing the cancer cells and completing the necessary adjuvant therapy, such as chemotherapy and radiotherapy, before a reconstructive surgery to achieve the best treatment results. If the cancer is small, the breast can be conserved. Conserving surgery techniques use plastic surgery after the removal of the tumor to reconstruct the breast in order to achieve the best end result. At Docrates, the goal is always to conserve the breast as long as it is medically possible and the patient wishes it. In breast-conserving surgery, the tumor is removed and the healthy breast tissue is saved. At the end of the operation, the shape of the breast is reconstructed using plastic surgery. Sometimes, the other breast may be made smaller, for example, to achieve symmetry in terms of size and shape. It is our experience that, after breast-conserving surgery, there is rarely any need for repeating the surgery or correcting its results at a later date. Learn more about breast cancer surgery techniques. In some cases, the treatment of breast cancer calls for the entire breast to be removed. This may be required if the tumor is large compared to the size of the breast or if the cancer has spread extensively within the breast. The risk of recurrence is higher for young women, which is why mastectomy is more common in the breast cancer treatment of young women. If conserving the breast is not possible due to the size of the tumor or the number of cancerous growths, the option of reconstructing a new breast to replace a removed one during the same operation is already considered in the planning stage. The usual solution is to use the patient’s own tissue or an implant to reconstruct the breast. The breast can also be reconstructed later after the patient has safely completed all the cancer treatments. Synthetic material or the patient’s own tissue can be used as the material for the breast reconstruction, either as flap surgery or as surgical fat grafting. The method is selected in cooperation with the patient. The reconstruction method to be selected depends on the patient’s body type, the desired breast size and the available tissue. It is important to find the optimal reconstruction method for each patient. The decision may also be influenced by surgery-related risks and the recovery time required by the operation. In some cases, the best end result may require the healthy breast to be reshaped or resized. In Finland, most breast cancers are diagnosed early before the cancer has spread. This is due to efficient breast cancer screening in the age group of 50–69 and women’s general awareness of breast cancer. Women know to seek medical attention in time. Breast cancer may spread to lymph nodes via lymphatic vessels or send foci to other parts of the body through bloodstream. Research shows that the spreading of breast cancer to lymph nodes has a large impact on the prognosis, and this can be influenced through chemotherapy. That is why the cancer’s potential spreading to lymph nodes is always examined in breast cancer surgery. If any suspicious lymph nodes are detected in imaging before the surgery, a needle aspirate sample, either cytological (FNA) or histological (CNB), is taken. A pathologist examines the samples, and if a lymph node metastasis is confirmed in the armpit lymph node, the armpit area is treated in the surgery by removing all the lymph nodes from that area. If no suspicious lymph nodes are detected in imaging, a so-called sentinel lymph node examination is carried out during the breast cancer surgery. Sentinel lymph nodes are the first lymph nodes to which cancer cells spread through the lymph. To find the sentinel lymph node, the patient receives an injection of radioactive agent near the tumor on the day before the surgery or on the morning of the surgery. The radioactive agent finds its way to the sentinel lymph nodes, after which they are imaged using a camera that detects gamma radiation. The placement of the sentinel lymph nodes detected in the imaging is drawn on the skin with a marker. Breast cancer surgery begins with the removal of the sentinel lymph nodes. The surgeon finds the sentinel lymph nodes among the large number of lymph nodes in the armpit by using a manual gamma detector. There are usually 1–3 sentinel lymph nodes and they are removed whole and quickly examined by the pathologist. While waiting for the results, the surgeon goes on to operate on the breast. The pathologist’s statement arrives approximately one hour after the lymph nodes have been sent. If the pathologist does not find cancer in the lymph nodes, the removal of the sentinel lymph nodes is enough. If the focus in the sentinel lymph node is very small (so-called micrometastasis), the surgeon often decides not to evacuate the lymph nodes in the armpit and to replace the removal with radiotherapy administered in the armpit area. If the focus in the sentinel lymph node exceeds 2.5 mm in diameter, all the lymph nodes in the armpit are removed. The purpose of sentinel lymph node biopsy is to avoid unnecessary removal of lymph nodes in the armpit which used to be the routine procedure for all breast cancer patients. Thanks to sentinel lymph node examinations, about two in three women suffering from breast cancer can avoid the unnecessary removal surgery of lymph nodes and the related side effects. At Docrates Cancer Center, we are committed to ensuring that the breast cancer patient understands their treatment options and that the patient’s wishes and needs are taken into account in the surgery plan. We also aim to arrange the examination, appointment, surgery and treatment schedules according to the patient’s wishes. Our experienced nurses and surgeons are available and present throughout the treatment path, offering all the necessary information and support in the patient’s new situation. Family and friends are also welcomed to join the appointments. Before an individually planned surgery, the patient meets our breast cancer specialist and our experienced breast cancer surgeon Jari Viinikainen at Docrates. 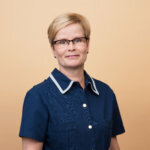 Nurse Helena Juutinen ensures that the treatment process runs as quickly and smoothly as possible. She also provides practical assistance and is there for the patient throughout the treatment path. The breast cancer surgery is carried out at one of our partner hospitals, Aava Sairaala Kamppi or Helsinki Hospital. After breast cancer surgery, a pathologist will thoroughly examine the malignant tumor that has been removed and determine the cancer type. Important factors in the risk of recurrence and the choice of follow-up treatment include the degree of malignancy of the tumor, the expression of hormone receptors on the cell surface, the cell proliferation rate and the potential expression of HER-2. 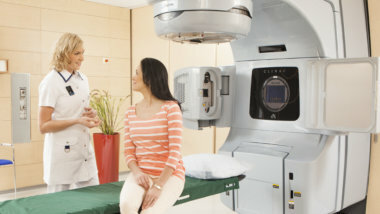 Learn more about radiotherapy and chemotherapy of breast cancer. 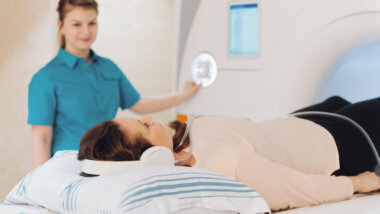 If the tumor is large or aggressive, tumor staging examinations, such as a CT scan of the body, radionucline examinations of the bones or an FDG-PET-CT scan may also be recommended. If the cancer has not spread to other organs, the risk of recurrence can be reduced in most patients after the surgery by providing hormonal therapy, chemotherapy or radiotherapy or combinations of these treatments.Learn more about the treatment of spread breast cancer. In order to maintain an optimal quality of life, a holistic approach addressing all aspects of the breast cancer patient’s health and well-being is essential. Our physiotherapist can provide home care instructions on matters such as improvement of mobility in the operated area, scar care and general well-being. Recommended services used during breast cancer treatment and after the treatment to support recovery include physiotherapy, lymph drainage therapy, nutritional therapy and psychotherapy. At Docrates Cancer Center, you can book an appointment with a breast cancer specialist quickly and without referral. We will organise all the necessary examinations without delay under one roof. Our nurses specialised in breast cancer are happy to help you. Contact us to learn more, tel. +358 (0)10 773 2000. *Average time for breast cancer patients between 1 January–31 December 2018.